These aids are more expensive than conventional analog hearing aids. However, they generally have a longer life span and provide better hearing for you in different listening situations. Conventional analog hearing aids are designed with a particular frequency response based on your audiogram. The audiologist tells the manufacturer what settings to install. Although there are some adjustments, the aid essentially amplifies all sounds (speech and noise) in the same way. This technology is the least expensive, and it can be appropriate for many different types of hearing loss. 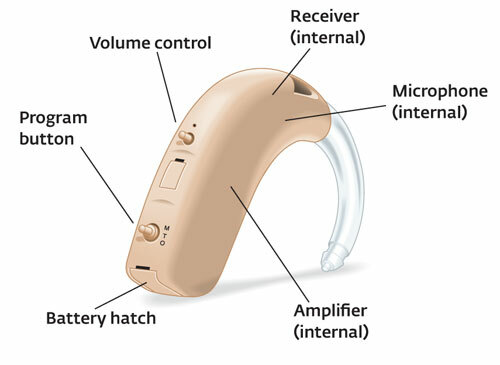 Analog programmable hearing aids have a microchip that allows the audiologist to program the aid for different listening environments. Example environments include quiet conversation in your home, noisy situations like a restaurant, or large areas like a theater. The programming settings depend on your individual hearing loss profile, speech understanding, and range of tolerance for louder sounds.